The KIT canteen is a fully modernized cafeteria backed by well experienced cooks providing nutritious and hygienic meals, different types dishes and snacks. The canteen is equipped with all modern utensils and automatic machine to cook and serve. All provisions of hygienic basic amenities such as Drinking Water, Rest Rooms, Telephone facilities etc. 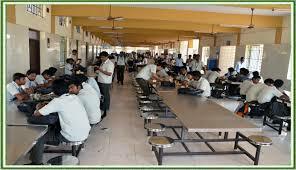 are made available in the canteen premises for the perusal of its users. Copyright © 2013 Kalam Institute of Technology., All Rights Reserved Visitor count :- 0225820 Powered by - All India Online Pvt. Ltd.